The fabric for our pram curtains are knitted at our factory in Estonia where they are also sewn and printed. The fabric is made from 100 % Organic cotton following the guidelines of Natural Textile Industry, IVN. 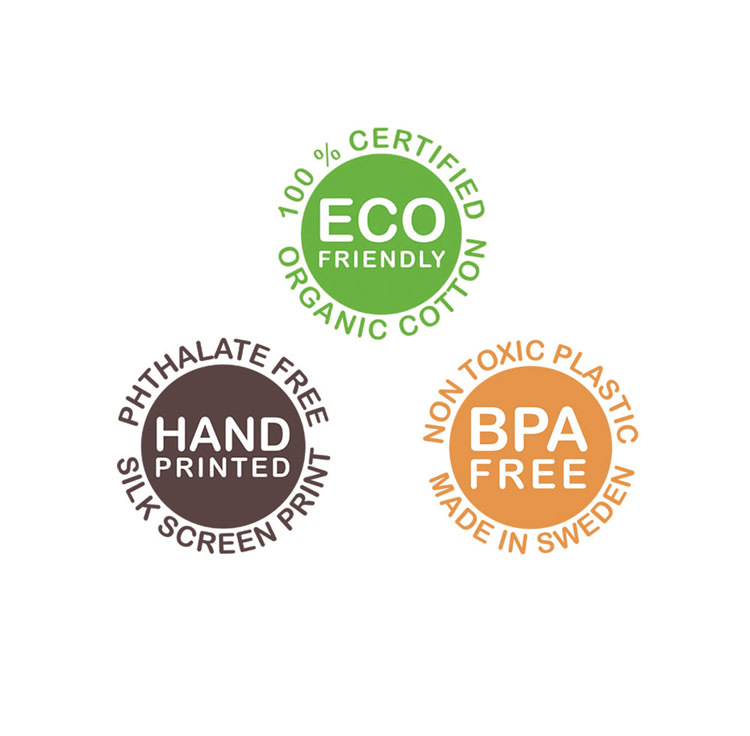 Our factory is both GOTS - certified and Oeko-Tex certified. The Plastic rings are made from POM plastic here in Sweden and they are BPA-free. The factory is certified according to quality standard SS-EN-ISO 9001 and environmentally certified according to SS-EN-IS0 14001. Our thinner version of pram curtains and our nursingpillows are made in China and our facory there is Oeko-Tex certified.